What Are Premium And Super Premium Dog Foods? Often times dog owners, while looking for right kind of dog food, come across the phrase - "Premium Dog Food". What this word "Premium" indicates, when it comes to food for your pet? To keep it straight forward, it actually does not signify any kind of specialty in terms of quality and/or nutrition. According to Cailin R. Heinze - MS, VMD, DACVN, an assistant professor of nutrition at Tufts University Cummings School of Veterinary Medicine, there is no official definition for the term "Premium" related to dog foods. Words like "Premium" and "Super Premium" are mentioned on the pack and are used just as marketing tools. There are no guidelines and standards set for the dog food manufacturers to be met to make something called "Premium" and "Super Premium" stuff. In the US, all pet foods are regulated by the Food and Drug Administration (FDA), the United States Department of Agriculture (USDA), and the Federal Trade Commission (FTC). The Association of American Feed Control Officials (AAFCO) establishes standards on which states base their feed laws and regulations, but AAFCO itself doesn't have any enforcement authority and doesn't perform any kind of analytical testing on pet food. A discussion with one of the marketing executives of a reputed dog food manufacturer turned out to be kind of an argument, when he defined a "Premium Dog Food" as the ones where additional care is taken to ensure the overall nutritional needs for a pet. This means the pet foods that are not labeled with tags like “premium” and “super premium,” are the ones for which no such care is taken. Why are those products that are not formulated with care marketed, at the first place? On asking he said that the all products have almost same quality and kind of ingredients that that are accepted in the human food chain. Generally such ingredients includes food grade materials from beef, lamb, poultry, pork, fish, rabbit and game, vegetables, cereals etc. So why should there be any reason to label dog food as "Premium"? If, in the pet foods labeled as "Premium", there are no different ingredients of any higher value there is no reason to sell certain products with the tags: "Premium" and/or "Super Premium". Pet foods should only be sold with one single tag - "complete and balanced products"? Why using the tag "Premium" and/or "Super Premium" if a food is not "complete and balanced"? Why sell any food that does not meet the basic requirements to be considered as "complete and balanced"? These are just words and phrases used to influence the buyers' purchase decisions. Hence it is not wise to blindly trust on what all are mentioned or pictured on the pack. So what do you need to check for while purchasing pet food? Being a responsible dog owner you should look for meat based protein that is easy to digest. As per the legal requirement, as discussed right above, such easy-to-digest protein should be mentioned only in the first few ingredients - means, as top of the list as possible. 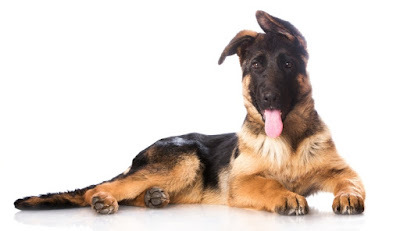 If you find higher quality protein mentioned within the top few ingredients, but if it is not easily digestible, then it is simply pointless to consider it as a good ingredient, suitable for your dog. The ingredient (despite being high quality) does not have any biological value for your dog in a real sense. You should not purchase the product - as simple as this! However making a perfectly correct decision based on such analysis may not always work well. Making correct analysis of the dog foods is very hard. More so because dog food manufacturers hardly reveal the factual data regarding the quantity/volume of each ingredient used in a particular dog food.